When I met singer-songwriter and producer Abby Dobson, she was working on her debut album—and determined to finish it on her own terms. Her passion was palpable. I knew I wanted to learn more about her, and this led to me conduct an interview with her for Put Your Dreams First. Well, it’s several years later. The album is complete. And it is pure sonic bliss; warm and soft like cashmere, but at its foundation lies an insistent, undeniable power. 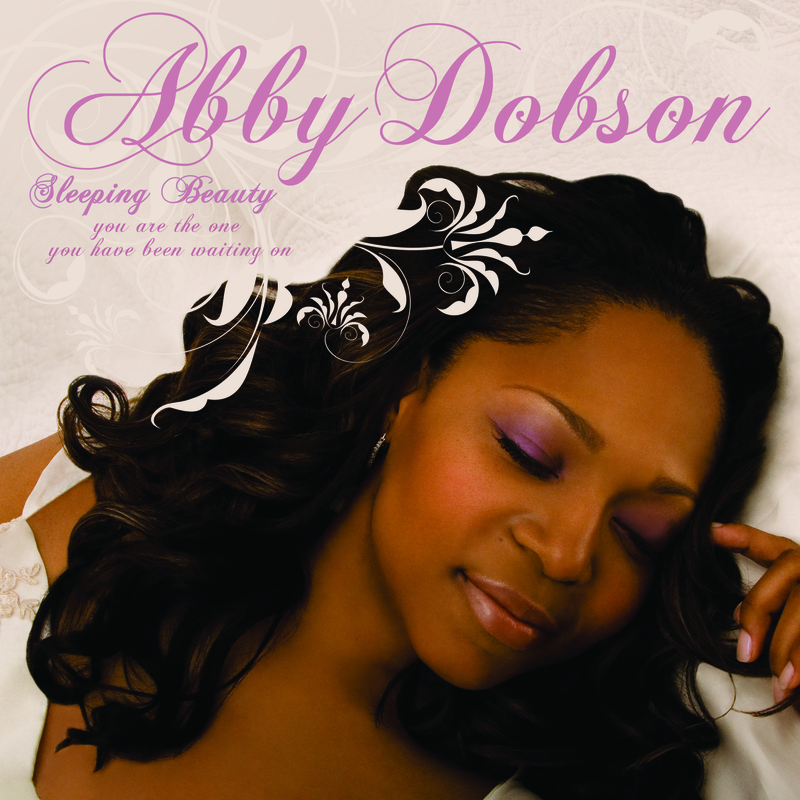 As she prepares for the birth of her CD, I am elated to bring you closer to Abby Dobson in another interview. She is truly one of the original Sister Swans as a woman featured in my book—and she has literally succeeded in putting her dreams first with Sleeping Beauty: You Are the One You Have Been Waiting On-Volumood One. The fulfillment of her dream is as much our reward as it is hers. This album is well worth the wait and doubly worth the money. I’m working on the release of my debut album, Sleeping Beauty: You Are the One You Have Been Waiting On – Volumood One on my own independent label, LadyBraveBirdMusic. In truth, I’ve been working on it in some shape or fashion for the last three years. It is a concept record, based loosely on the Sleeping Beauty fairytale. You opted not to record digitally, right? Recorded and mixed to analog tape, the album features some of the most incredible musicians I’ve worked with including Nate Jones(Lyfe Jennings), Martin Sewell (Lizz Wright), Robert Glasper (Bilal), Lonnie Plaxico (Cassandra Wilson). The central theme in this concept record is that rather than waiting on a Prince or principality (or anything outside of yourself) to create the world and existence you hope for, trust that you are indeed the one that you have been waiting on to create the life and reality you desire. All that you need, you have the power to create or manifest in yourself and the universe. I’m reading a few. I’m reading Music Marketing: Press, Promotion, Distribution and Retail by Mike King. A girl’s got to be prepared! I’m reading Freedom Dreams: The Black Radical Imagination by Robin D.G. Kelly. I also just started reading Fierce Angels by Sheri Parks. Share something about your work that is harder than it looks. It’s harder than it looks being out and about networking because I am really a homebody at heart. It’s also harder than it seems for me to not to care that quality is not valued in our culture anymore. It’s difficult to remain undeterred by the fact that music just doesn’t seem to matter. It is difficult trying to make sense of the shift to personality as content in art versus art making itself as the desired content. It is also harder than it looks to try not to care that personality and image now upstage and surpass artistry in terms of relevance to powerbrokers, whether in the audience or in the boardroom. Tell us about a moment of sweet vindication. Not sure I can claim sweet vindication categorically at this point, but then again I should go ahead and claim it. Why wait? People thought I was crazy to record and mix my album to analog tape. Sweet vindication is hearing musicians and non-musicians remark about what a beautiful sounding record Sleeping Beauty: You Are the One You Have Been Waiting On is. But more than that, sweet vindication comes from my own listening. I made the album I wanted to make and it’s gorgeous, if I may say so myself. You certainly may! You’ve earned it. What’s the most dangerous aspect of the waters you navigate? Trying to maintain true balance in all aspects of my life. There is much potential for burnout and a loss of perspective working at something I love and feel so passionately. Because I am an emotional and creative being who is incredibly passionate about what I do, it is sometimes dangerous territory if I start to forget that I am more than an artist. Name two places you call home. One of the two places I call home is in my mother’s embrace. She is my best friend and my biggest supporter. She has been such an inspiration. She is my saving Grace. Another place I feel at home is in my own spirit/body/mind…my own skin. It’s taken me a minute, but I am comfortable with who I am. I’m a dreamer, a seeker, a thinker, opinionated, a rebel, a romantic, family-oriented, a strange bird, and a fighter for what I believe in. Specifically, the writings of Alice Walker, Toni Morrison and Audre Lorde have touched me to my very foundation. Sarah Vaughn, Donny Hathaway, Anita Baker, Whitney Houston, Bob Marley, Sweet Honey in the Rock, Barbra Streisand and Tracy Chapman are strong influences. I learned how to sing from listening ferociously to all of them. I’ve been most influenced by strong women, including the ones who raised me: my mother, grandmother and Aunt Pat. All three sacrificed to send me to school, music lessons, etc. I learned the problem solving skills I rely on today from them.They juggled and navigated a host of difficult terrains to put food on the table, shelter me, and inspire me to obtain an education, dream big and to never quit. It’s important for me to note that my cousin Colin was a big influence on me. He introduced me to Alice Walker’s In Search of Our Mother’s Gardens and The Third Life of Grange Copeland, Channel 13, and Toni Morrison’s Sula and Song of Solomon. He helped me make sense of our migration from Kingston, Jamaica as children to East Flatbush, Brooklyn. He was right there with me when I heard my first rap song when he picked me up from grade school with a few of his friends. He was the first in my family to go to college and grad school. Incredibly musical, he was my first vocal coach and musical director. My personality as an artist, including my analytical nature, has therefore been deeply influenced by my cousin. Let us in on some of your guilty pleasures. I have several guilty pleasures. I love starchy foods! Heaven help me, but I also love TV, especially the Carpathians at the moment. Did I really just admit to that? Yup…yes I did. I also really love Charmed, Supernatural, True Blood, America’s Next Top Model, Boston Legal, House and all the Law & Order shows. Thanks for another great interview, Abby and congratulations on the November 8th album release concert at the Blue Note in New York City. That’s huge! How can readers learn more about you and hear your music? This entry was posted on November 4, 2010 at 5:23 pm and is filed under Entertainment. You can follow any responses to this entry through the RSS 2.0 feed. You can leave a response, or trackback from your own site.